Beautiful beach house in front of the Colombian Caribbean Sea. It is a large house made of Teak wood, very fresh. 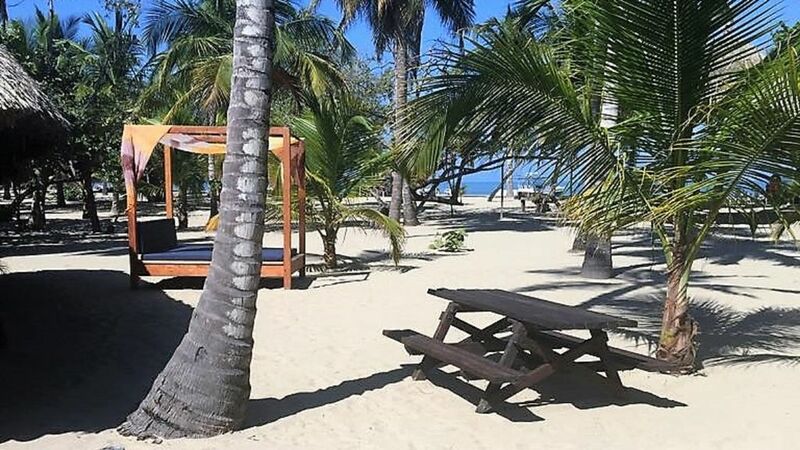 The ideal place to enjoy the view of the Colombian Caribbean Sea because it is 30mts from the house. The house has a porch at the entrance where you can rest in hammocks and rocking chairs. The cabin has a large open space, and an outside clubhouse with rotisserie, chairs, tables and hammocks. The cabin has the possibility to rent a boat with capacity for 10 people, a great idea to know the beaches and nearby islands. The cabin has the possibility of renting a boat with capacity for 10 people, a great idea to know the beaches nearby. El servicio de limpieza y cocina es de 45 mil pesos por día hasta para 5 personas. Si es para 6 en adelante son 90 por dia porque se contratan dos personas para la limpieza y la cocina. Se debe pagar un día extra de limpieza para dejar la ropa de cama organizada.